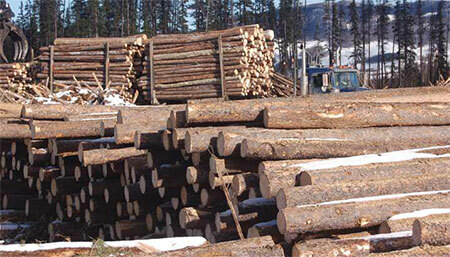 With the forest industry on the upswing, the Council of Forest Industries (COFI) convention in Prince George in April is well timed, with lots of issues to be discussed, from the mountain pine beetle to a looming labour shortage for the industry. The Prince George calendar for early April 2013 has a reassuring appearance. The Council of Forest Industries (COFI) convention is back in its traditional spot and that helps underline that the forest industry is once again a major motivator and driver to the regional economy. Prince George, located in central British Columbia, is at the epicentre of Canada’s largest softwood lumber producing region and the forest industry has been resolutely reorganizing itself in the wake of arguably the worst depression in its history. The collapse of the U.S. housing market forced forestry into a deep tailspin and only now is the market showing signs of a slow but real recovery. The surge in demand for B.C.-produced lumber in China and other Asian countries saved the regional industry and its communities from an even worse calamity. The event will be held at the Prince George Civic Centre April 4 to 5. COFI’s convention alternates between Prince George and Kelowna and routinely represents the largest annual gathering of the forest industry in western Canada. It brings together forest company CEOs and executives from around North America and offshore with senior customer representatives, suppliers, people from financial and educational institutions, consultants, representatives from all levels of government and civil servants. The theme for COFI’s 2013 convention is Transformation Thru Innovation=Success! “We have tried to bring together a different suite of people as speakers and presenters to address the most pressing issues facing the forest industry,” summarized Doug Routledge, COFI’s vice president forests and northern operations. The keynote address on Thursday April 4 will be delivered by Steve Thomson, B.C.’s Minister of Forests, Lands and Natural Resource Operations. A series of panels follow, each one focusing on a vital element in the formula for success. The first panel on Global Macroeconomics will provide an international assessment of wood product markets. Scheduled speakers are Russ Taylor, president of International Wood Markets Group; Daryl Swetlishoff, an analyst with Raymond James Ltd., and Peter Woodbridge, president of Woodbridge Associates. The critical issue of timber supply will be examined during the second panel session. The continuing impacts on future timber supplies from the mountain pine beetle epidemic in the B.C. Interior will be addressed from three different but united perspectives. Dave Peterson, B.C.’s Chief Forester in the Ministry of Forests, Lands and Natural Resource Operations, will be joined by Mark Feldinger, senior vice president forestry/environment and energy with Canfor Corporation. Providing a view from the municipal level of a forestry-dependent community will be Gerry Thiessen, mayor of Vanderhoof in central B.C. Skills and Training will be under the microscope during COFI’s next scheduled panel. Retirements and an aging work force—along with recession-induced defections from the forest industry—have resulted in a major problem for B.C.’s natural resource industries. And it comes at a time when accelerating multi mega projects desperately need skilled labour to attain their goals. Tackling the issue in a panel discussion will be Kevin Evans, CEO of the Industry Training Authority; Don Wright, president of the B.C. 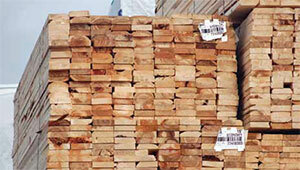 Institute of Technology along with a speaker to be named representing the solid wood sector. The two terrible explosions and fires at the Babine Forest Products sawmill near Burns Lake and at Lakeland Mills in Prince George have highlighted the need for vigilance throughout the day-to-day operations of the solid wood sector in B.C. 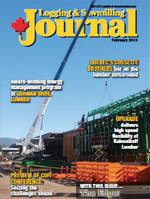 New binding regulations are predicted to emerge from investigations into the sawmill incidents The forest industry has been pro-active in the meantime, improving safety procedures, training and practices in the province’s sawmills and wood processing plants A safety panel will include presentations from Reynold Hert, CEO of the B.C. Forest Safety Council, and Bob Matters, chair, wood council with the United Steelworkers. They will be joined by participants to be named representing industry and the regulatory agencies. Panel discussions slated for Friday, April 5 include a session on effective partnerships for the new bioenergy. Scheduled to add their specific industry viewpoints are Ken Shields, CEO of Conifex and Bill Adams, manager engineering and strategic planning with Domtar. A speaker to provide a global perspective to the discussion is to be announced. The convention’s final panel will examine wood products for sustainable building systems, neighbourhoods to nations. Scheduled presenters are: Janna Foit, an architect with Perkins+Will; Wang Youwei, the executive director of the China Green Building Council, and Peter Moonen, sustainability coordinator with the Canadian Wood Council. Wrapped around the panel discussions are luncheons with high profile guest speakers, an extensive range of exhibitors’ booths and ample opportunities for good old fashioned face to face meetings. The provision of that time was purposely structured into the convention format in response to COFI members’ requests. “Our forestry executives have reminded us that face to face meetings have become more important recently,” explained COFI’s Routledge. Many forest company representatives in the B.C. Interior conduct regular business with customers in Asia where building contacts through direct communication is the only effective way of doing business. That could be a factor in the call for more such opportunities during the COFI convention, surmised Routledge. Hectic work schedules lead to an everyday over-reliance on digital communication like texting, email and conference telephone calls, he noted.